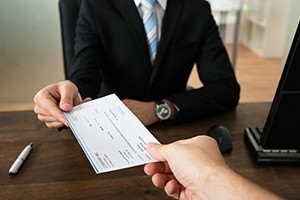 Under certain conditions set forth in Section 48 of the Workers' Compensation Act, an insurer and an injured employee in Massachusetts may agree that the insurer will make a lump sum payment. Certain lienholders can request a Section 46A conference in connection with the lump sum that is awarded under Section 48. Generally, the lienholder will need to file a completed Department Form 46A with the Central Scheduling Unit. Notice is to be provided to all parties. At Pulgini & Norton, our Boston workers’ compensation lawyers can help a worker determine how to respond to a Section 46A conference request and guide him or her through the proceedings. Under Section 46A, when benefits have been paid under an accident or health insurance policy in connection with a claim that can be paid under the worker's compensation law, the insurer that issued the policy can file a reimbursement claim out of an injured worker's lump sum settlement. Other parties that pay medical support, such as the department of medical assistance or the department of transitional assistance, are entitled to file claims for reimbursement as well. A reimbursement claim must be filed before the award of benefits is paid or a lump sum settlement is approved. When this type of claim is filed, the insurer has a lien against the award or lump sum. If satisfactory proof is made by the lienholder, the DIA is authorized to order direct payment of the reimbursement from the award or lump sum. When an employee has child support arrearages that are subject to a lien under Section 6 of Chapter 119A, a claim for the past-due support can be filed with the division. As with a medical lien, when a claim is filed and proof is made, direct payment can be ordered from the lump sum or award. If a lump sum settlement is suggested, but the employee and the lienholder cannot agree on what would be a reasonable amount to discharge the lien or claim, the reviewing board can determine the fair amount to be paid from the lump sum or award. In deciding what is fair, the reviewing board is supposed to consider the interests of the worker's children in receiving the past due support, as well as public policy. If the remaining amount of the award or lump sum is not enough to satisfy a competing claim of the department of transitional assistance or the division of medical assistance, each is entitled to a pro rata share of the award or lump sum. Once these are paid, the lien or claim shall be discharged. The reimbursement may not be more than the amount of the lump sum or award. In order to request a Section 46A conference, at least 10 days before the proceeding, the moving party must submit a memorandum to the administrative law judge and send copies to all interested parties, including the lienholder. The memorandum should include the reasons why the lien should be discharged and the amount for which it should be discharged. Five days before the conference, the lienholder is supposed to submit a response to the judge while sending copies to the interested parties. If you receive notice that a lienholder has requested a Section 46A conference, our Boston workers' compensation attorneys may be able to help you through this process. Our firm also represents people in New Bedford, Somerville, and Lowell, among other Massachusetts communities. Contact Pulgini & Norton at 781-843-2200 or through our online form for a free consultation with a workplace accident attorney.